Profile: Mikaela Jones is a sound healer and published author. She has been leading sound healing events in Portland, OR since 2009. 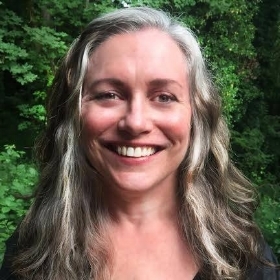 She is co-creator of the Portland Sound Sanctuary, a music meditation group, which loves sharing the deeply restorative and rejuvenating power of sound frequency, toning, and sacred cacao elixir via public and private sound bath meditation events. She has over twenty years training/teaching in spiritual & healing traditions from intensive sound healing and vocal toning training with Jonathan Goldman and Steven Halpern, to meditation, hypnotherapy, & Reiki. She is the author of the inspirational “Little Book of Light: 111 Ways to Bring Light Into Your Life”, which has sold over 20k copies. Her upcoming "Book of Light: 365 Ways to Bring Light Into Your Life" will be released in Spring 2018 by Conari Press. Her intention is to uplift people so that they may live their True Self, and shine their light with the world.